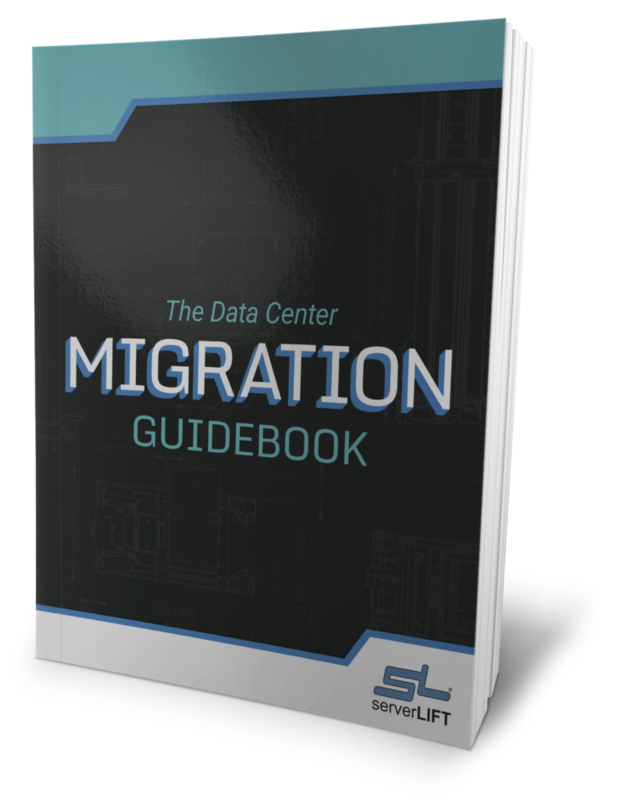 A data center manager hears this question often: “How can we safely expand IT operations without having to move to a new facility?” One of the easiest and most cost-effective answers appears to be to move upward. The 42U rack is a data center industry standard, but in the next few years, we expect server rack dimensions to change. As data racks become more affordable, they are also getting taller. A recent Global Data Center Rack Market report shows shipments of 48U racks have already well outpaced 42U racks, and data center rack units as tall as 51U show strong sales growth. Intel put in 60U racks at their Santa Clara data center a few years back. They went from 25,000 square feet supporting 5 megawatts to 5,000 square feet for the same amount of support. Here at RackSolutions, data center product design and custom product design is our specialty. We’ve seen a lot of trends come and go. Our primary concern—far beyond what’s trendy—is in the creation of a data center rack that will make sense for you, the customer. The source of our inspiration often comes directly from our clients and their needs. Any innovation that increases server capacity while still allowing access to power and cooling systems is going to be of interest to us. We are also responding to concerns regarding the smartest usage of available space. That’s why we began creating custom racks far taller than the industry standard. The need for increased rack height first became apparent about a decade ago. A customer came to us with concerns about their East Coast facility. It was a large space, with a great deal of headroom over the racks. They asked us why we couldn’t go any higher. With the industry standard holding steady at 42U, we went up to 55U in our first design. Since then, a number of clients have also requested taller racks. We usually stop at about 58U, but that is only due to shipping restrictions. The internal height of a semi is 110 inches. Once a rack gets any taller, it has to be laid on its side. This leaves a lot of unused space in the trucks. Logistically, it’s not the best use of space or money. It also means racks any taller than 58U cannot come pre-populated with equipment, which has the potential to severely impact the customer’s installation time, costs, and ultimately their bottom line. The first problem we often face is the door of the facility itself. For many data centers, the door needs to be reframed to accommodate taller racks. Equipment must also be highly specialized to get staff up to the top portions of the rack safely. Finally, there is the cooling issue. How does the client circulate cool air that high? We’ve come up with a number of solutions to address these issues. Data center personnel often place lightweight components near the top of supersize racks. Components such as switches, patch panels, and fan trays do not require frequent access. Servers and heavier equipment remain at the bottom, which increases rack stability. Most data centers are built on raised flooring, on 24×24 panels. Clients add grates for directed airflow, and we supply baffles to send cool air back downward. Directing conditioned air properly is a major consideration when taller racks are installed. Airflow must often be increased in the data center before new racks are placed and IT equipment is rearranged. The hot-aisle/cold-aisle configuration is another solution we see frequently. Cabinets alternate two fronts and then two backs, channeling hot air away. Proper cooling techniques are particularly important with tall racks. Temperature-controlled infrastructure goes a long way in saving you from unnecessary headaches down the road. Taller racks make sense to a large number of our clients. In fact, just three years ago, racks 50U or larger made up more than two-thirds of our total sales. We expect to see an even greater number of customers coming to us in the future for customized racks of greater height. Those who have moved ahead with installation have immediately seen the cost savings per square foot. The higher power density and the ability to pack more servers into limited space offer tremendous advantages. Those servers are becoming more powerful every year. When we speak to someone planning a relocation or a new data center, it is all about utilization of floor space and placing as many servers on each rack as possible. It’s unlikely, however, that racks will continue to grow taller. Once you go above 70U, safety and convenience are both affected. While our racks are highly durable and meet the strictest industry standards, they are still limited by weight capacity. If you are considering extending your server racks and taking advantage of taller ceilings, these are all issues to consider. 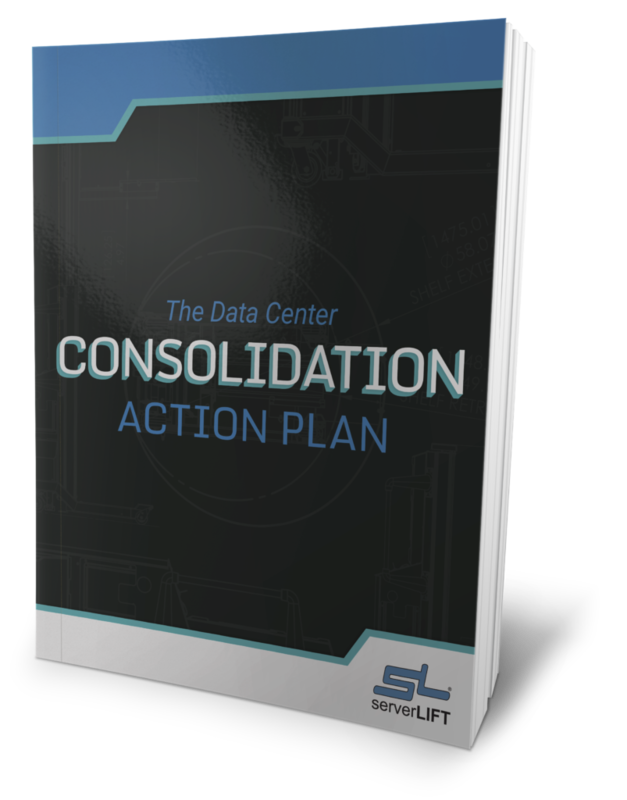 Overall, this trend is allowing expansion for data centers in a highly cost-effective manner. We expect to see many conversions to taller racks in the near future. 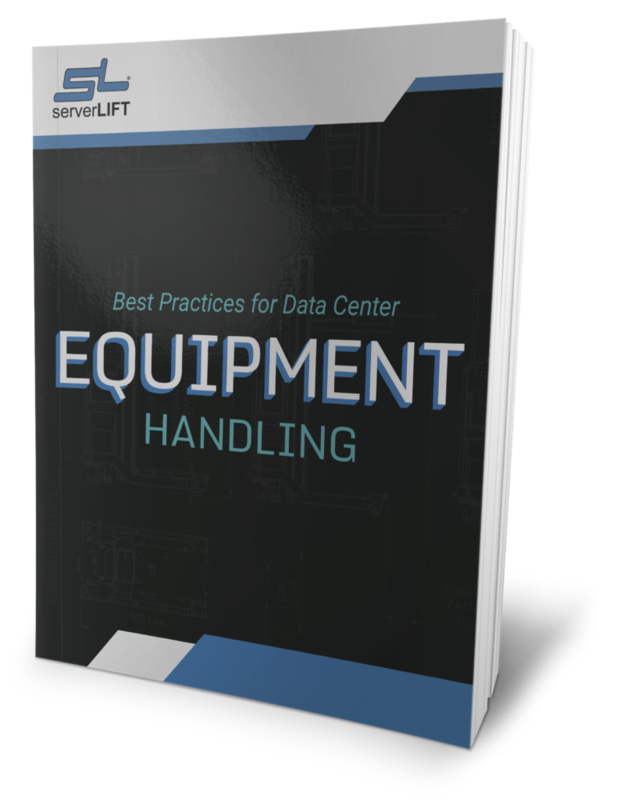 ServerLIFT server-handling products are uniquely qualified to tackle the demands of a taller rack. Our data center lifts include an extendable frame which can safely support servers being placed into racks up to 65U (120”) high*. Yet, when retracted, our lifts are compact enough to navigate any facility – even through standard height doors and elevators. 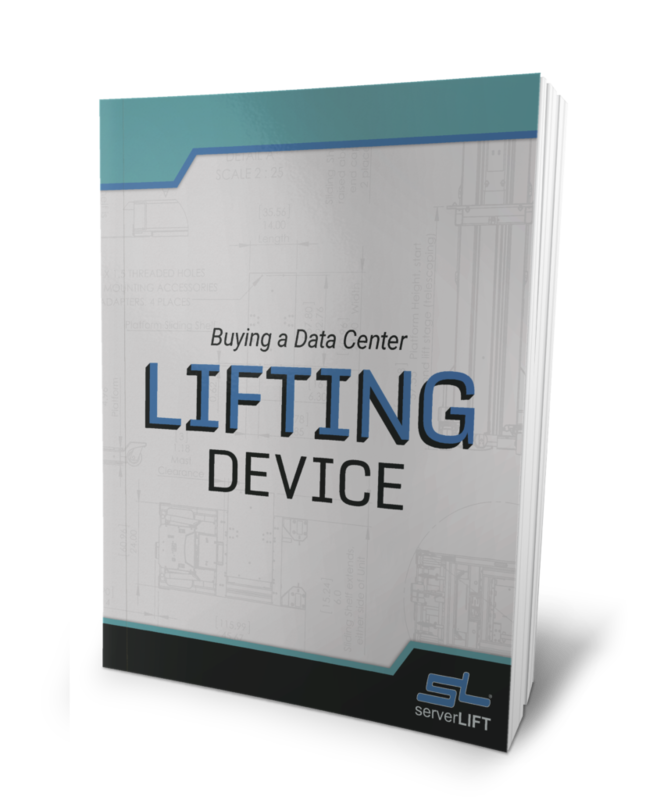 Lightweight and rugged, the ServerLIFT data center lift improves employee safety by alleviating potential back strain and maintaining even alignment of heavy equipment. Positioning for both hot and cold containment aisles is simple and straightforward with our RL-500™ Platform Riser. It is designed for low ceiling clearance, and will help you to navigate obstructions with ease. ServerLIFT provides custom solutions for data centers across the world. Whatever your specifications and design needs, we can assist. * Recently we even developed a special order model that allows operators in specialized facilities to lift and install servers to the top of 90U (nearly 14 ft.) custom racks. 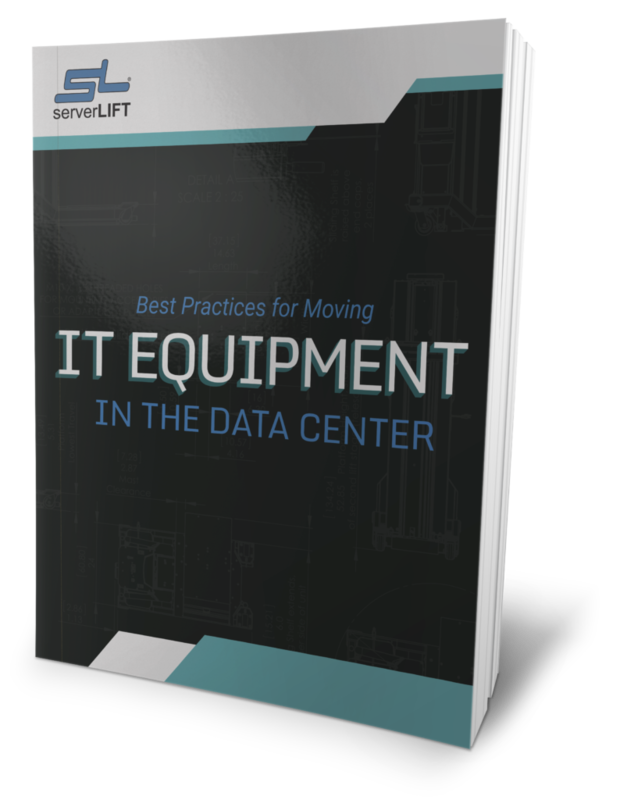 ServerLIFT often invites thought leaders in the server, product solutions, and rack storage industries to contribute to our TechLIFT blog. The opinions in these blog posts are their own, and do not necessarily reflect the ServerLIFT point of view.